Marshmallow root has a history only a few us know. It has been used for centuries to treat infections, aid digestion, and improve skin health. And here’s the key – we’re not referring to the sugar puffed cylindrical candy that we drool for. The marshmallow root is an entirely different deal altogether. Keep reading to find out all about the benefits of marshmallow root and how to consume it. How Is Marshmallow Root Good For You? What Is The Dosage Of Marshmallow Root? What Are The Side Effects Of Marshmallow Root? Marshmallow is a plant native to Africa and certain parts of Europe that has been used for centuries to prepare herbal treatments. Its history stems from nearly 3000 years ago as a folk remedy back in the times of ancient Egypt and Greece. It also has gained importance in Ayurvedic medicine as a potential treatment for lung ailments, bacterial infections, digestive issues, and even certain skin ailments. Interesting, right? But how does this root work? Marshmallow is a natural mucilage, which means it acts like soft fiber and swells up when it comes in contact with water. This quality makes the root form a protective coating around membranes. The root contains flavonoid antioxidants, pectin (a type of fiber), amino acids like asparagine, and other compounds like coumarin, phenolic acids, tannins, and quercetin (antiviral and antibacterial substances). 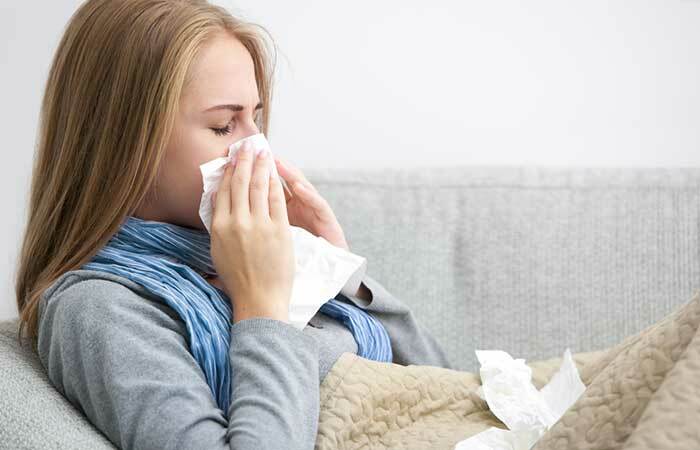 Studies show how all these compounds improve the functioning of the mucous membranes in the respiratory tract, thereby averting several serious ailments (1). And the antioxidants in the root prevent oxidative damage in the body, offering another set of wonderful benefits. Now that you know the background, it is time to get into the details. The antitussive and mucilage properties of marshmallow root decrease throat irritation and reduce swelling of the lymph nodes. This can help relieve cough and cold and other respiratory ailments, including a sore throat (2). One study found that a herbal syrup containing marshmallow root relieved respiratory ailments associated with mucus formation (3). Marshmallow tea works wonders in this regard and the herb seems to soothe every tissue it touches. The antioxidants in the root might help prevent cancerous tumor growth, especially in the lungs. Also, the high amounts of vitamin C in the root clear mucus anywhere in the body, with more concentrated effects on the mucus in the lungs. The vitamin C in the root can boost immunity too, and this may also help with cancer treatment. As several reports suggest, marshmallow root works wonders for the lungs. And hence, this might be a supplementary remedy for cancer. However, we recommend you speak to your doctor before starting any new treatment regimen. Given its high mucilage content, it reduces inflammation of the stomach lining and even heals stomach ulcers. It creates a protective lining in the digestive tract, thereby treating leaky gut syndrome. Marshmallow root also helps individuals suffering from inflammatory bowel diseases like Crohn’s disease and ulcerative colitis. In ancient Egypt, marshmallows were reserved for the Pharaohs and other individuals of the royalty. Symptoms of any infection, like swelling, tenderness, or burning, can be treated by taking marshmallow root. The root has been found to kill the bacteria and accelerate the healing process (4). Ingestion of marshmallow root even increases urine secretion – and this helps flush out the bacteria that cause infections, including infections of the urinary tract and kidney stones (5). Some sources say that marshmallow root also helps treat interstitial cystitis, a form of bladder disease (6). Though this disease is not exactly caused by bacterial infection, the soothing properties of marshmallow root (and the tea) might reduce inflammation and treat the condition. Inflammation is one of the root causes of heart disease, and since marshmallow root fights inflammation, it can improve heart health. In some studies, one of the primary marshmallow root benefits was that this root had elevated levels of good cholesterol (7). Marshmallow root can help relieve a host of digestive issues, including heartburn, acid reflux, diarrhea, and even constipation. In fact, it coats the inner lining of the stomach and prevents burning sensations. Research shows the herb repairs the gut lining and keeps the digestive system functioning optimally (8). The diuretic effects of marshmallow root play a role here. It helps treat a bloated stomach and even edema (9). Marshmallows protect astronauts’ nasal membranes during high-pressure lift-offs, which is why they are stuffed up their noses. Marshmallow root soothes the nerve-sense system of the skin, which, in turn, reduces skin irritation. The root can also be used topically to treat wounds, burns, insect bites, dry or chapped skin, and even peeling skin (10). The mucilage properties of the root soften the skin, which is one reason it is an active ingredient in most skin care products. The anti-inflammatory properties of marshmallow root are also helpful in treating eczema. The polysaccharides in the root moisturize the skin and add a protective layer to ultra-sensitive skin (1). The mucilage in marshmallow root may benefit your hair. It binds with hair proteins and makes the strands appear thicker. This mucilage may also be used as a hair detangler and conditioner. Those are the health benefits of marshmallow root. The best way to avail the marshmallow root uses is to consume it in the form of tea. But how do you prepare it? Fill one-fourth of a jar with marshmallow root. Fill the jar with lukewarm water and cover it with a lid. You can allow it sit for about 6 hours or even overnight. You will see the water turning light yellow. Strain the roots. You will get a thick liquid. The marshmallow root tea recipe is quite simple, right? But what about the dosage? How much of marshmallow root can you consume in a day? For respiratory issues, take 1 to 2 teaspoons of marshmallow root powder several times a day. You can also have 1 to 2 cups of marshmallow tea. For digestive issues, take 6 grams of marshmallow root every day. This can be in the form of powder, capsules, or even tea. If you are using it on your skin, you can purchase an ointment or balm with the root as one of the ingredients. And for shampooing, you can use the tea. Ensure you take the root at least two hours before or after you take your medications (if any). The dosage is important. Not following it might lead to side effects. Side effects. What are they? There is not enough information on the safety of marshmallow root during pregnancy or breastfeeding. So, stay safe and avoid its use. Some sources say that marshmallow might interfere with your blood sugar levels. Hence, if you are already on diabetes medications, avoid the root to prevent your blood sugar levels from falling to dangerously low levels. Since the marshmallow root extract might affect blood sugar levels, it can interfere with blood sugar control during and after surgery. So, stop taking marshmallow root at least two weeks before your scheduled surgery. We want to say it again – the marshmallow root is the real deal. Start incorporating it into your diet today and reap the benefits of marshmallow root. Tell us how this post has helped you. Please leave a comment in the box below. 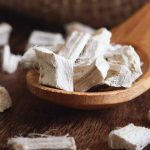 Where can you buy marshmallow root? You can get the root from your nearest health store. Or buy it online at Amazon or Walgreens. 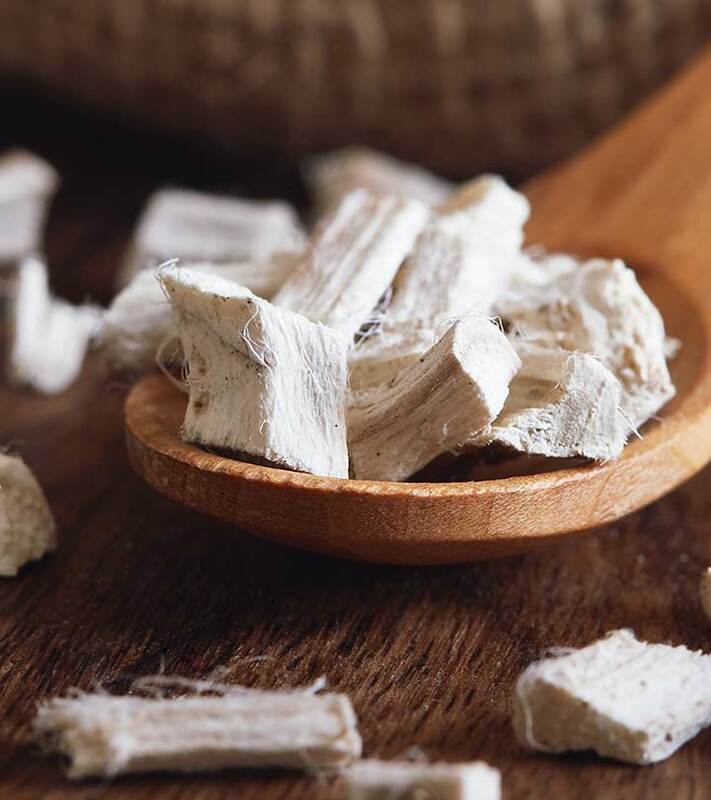 Can you take slippery elm and marshmallow root together? There is little information on this. Though you can use both together, we recommend you talk to your doctor before doing so. How much sugar does marshmallow root contain? The root contains zero sugar. “Aqueous extracts and…”. US National Library of Medicine. “Marshmallow root extract for the treatment…”. US National Library of Medicine. “Open trial to assess aspects…”. Complementary Medicine Research. “Medicinal plants used in treatment of inflammatory…”. US National Library of Medicine. 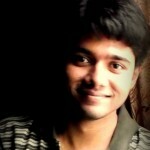 “Evaluation of the antibacterial…”. US National Library of Medicine. “Recommendations to the primary care…”. US National Library of Medicine. “Pharmacological evaluation of…”. Taylor & Francis Online. “Gastroprotective effects of…”. Taylor & Francis Online. “Evaluation of the antibacterial activity of the…”. US National Library of Medicine. “Marshmallow”. National Center for Biotechnology Information.